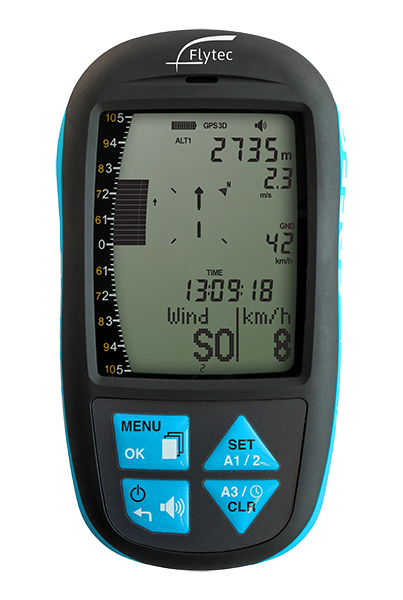 In March 2016 Flytec will launch the Element Speed. The Element Speed is for pilots who like have all the important information about what is going on in their flights. 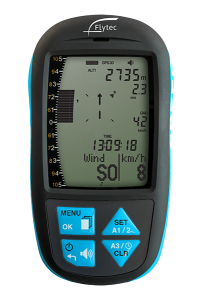 In addition to the standard vario functions, the Element Speed specializes in everything related to speed: ground speed, airspeed (with optional external sensor), wind direction and speed. All information is clearly displayed graphical and numerical. Aside from its standard vario functionality, the Element Speed also offers information on the last thermal flown by the pilot, glide ratio, as well as the distance and bearing to the launch site. The vario comes with few keys for ease of handling, but with the tried and tested “domed” keyboard for better usability even with gloves.